Keeping your kids safe online can seem like a big job. 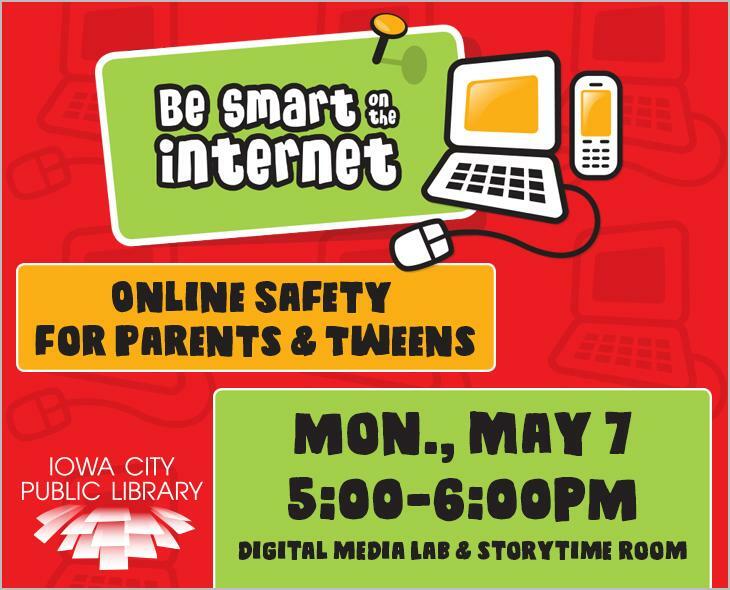 Come to the library and get an overview of some of the best ways to keep your kids safe and open up conversation with them about their online experiences. Our class will primarily focus on safety for Tween aged kids. While you attend the class, your kiddos can join our tween librarian, Morgan, for some iPad fun. Experiment with coding logic, explore internet safety, and check out some of our newest apps and games.